The next show will air on Sunday, August 24, 2014 from 11:00 PM – 1:00 AM Monday Eastern Standard Time on WBAI, 99.5 FM in the NYC metro area or streaming online at wbai.org. This installment of the program will feature an interview with bassist and educator Dr. Larry Ridley. You can hear a short preview of the show below. Dr. Larry Ridley was born and reared in Indianapolis, IN. He began performing professionally while still in high school in the 1950s. He studied at the Indiana University School of Music and later at the Lenox School of Jazz. Dr. Ridley has been involved in jazz education, heading the jazz program at Rutgers University. Dr. David Baker, another Indianapolis native and notable jazz musician, was one of his prime mentors. 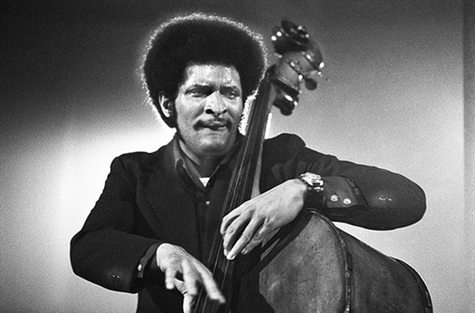 Dr. Ridley was bassist for David Baker’s Big band during his studies at Indiana University. Dr. Ridley served as chairman of the Jazz Panel of the National Endowment for the Arts (NEA) and was the organization’s National Coordinator of the “Jazz Artists in Schools” Program for five years (1978–1982). Dr. Ridley is a recipient of the MidAtlantic Arts Foundation’s “Living Legacy Jazz Award”, a 1998 inductee to the International Association for Jazz Education Hall of Fame (IAJE), an inductee of the Downbeat Magazine Jazz Education Hall of Fame, a recipient of the Benny Golson Jazz Award from Howard University, and was honored by a Juneteenth 2006 Proclamation Award from the New York City Council. Dr. Ridley is currently the Executive Director of the African American Jazz Caucus, Inc., an affiliate of IAJE. He was also the IAJE Northeast Regional Coordinator. He continues to actively teach as Professor of Jazz Bass at the Manhattan School of Music. Dr. Ridley served as Jazz Artist in Residence at the Harlem based New York Public Library/Schomburg Center for Research in Black Culture. He established an annual series there dedicated to presenting the compositions of jazz masters that are performed by Dr. Ridley and his Jazz Legacy Ensemble. Watch Dr. Ridley talk about the system of jazz apprenticeship and what learned from Horace Silver in this short interview. Watch Dr. Ridley and the Jazz Legacy Ebsemble in this 2011 live performance at the Schomburg Center.